The 80's were a prolific time when it came to genre television. If you were a science-fiction fan you had something more to look forward to then just Star Trek. We here at TVStoreOnline.com have selected five of our favorite 80's television shows that many consider obscure or not often seen because of the fact that some of them have never been released officially on home video. You best pop over to YouTube to watch these today! 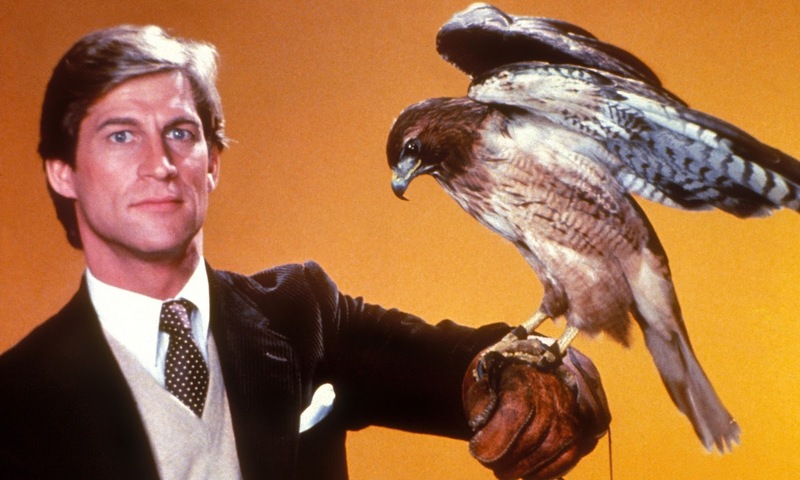 We can only imagine that how funny a show like Manimal would be today to audiences if it was a bit funny to audiences over 30 years ago when it first aired. Manimal aka Dr. Jonathan Chase, was a scientist / shape-shifter who changed himself into a black panther in order to help fight crime. The show was created by producer Glen A. Larson who is best known as the creator of such shows as: Battlestar Galactica, Buck Rogers, B.J. and the Bear, The Fall Guy, Magnum P.I., and Knight Rider. It ran on NBC for a very short time only. 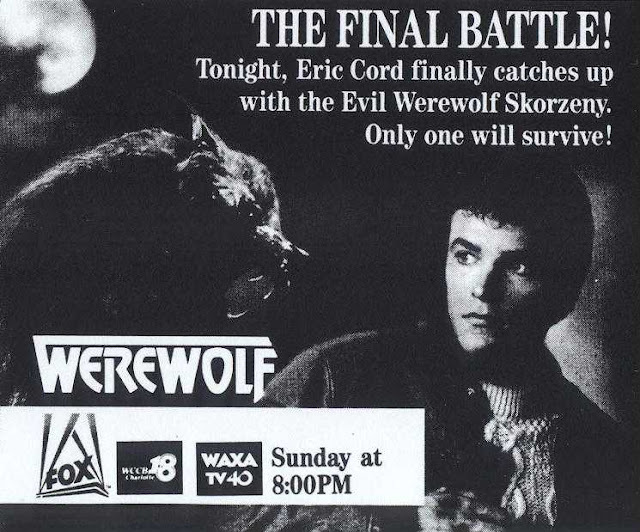 From September 30th through December 17th, 1983 before it was canceled. Can you remember back in the day when the Fox Network first launched? Remember that? That would take you back to when The Simpsons weren't even a television show yet, only just an animated-segment on The Tracey Ulman Show. Werewolf was a man-chasing-beast series that aired on Fox Network Sunday evenings from 1987-88 and it featured actor John J. York as Eric Cord, a college student who transforms into a werewolf. The Cord character was cursed and he sets out on a journey across the country to find and kill the person who cursed him. On his tale is a mysterious bounty hunter and a drifter who has some connection to Cord. If you're a fan of the current British science-fiction series Misfits or NBC's Heroes you'll love Misfits of Science. The show only ran on NBC for a brief six months but it featured a cast of young up-and-coming actors with super-powers. 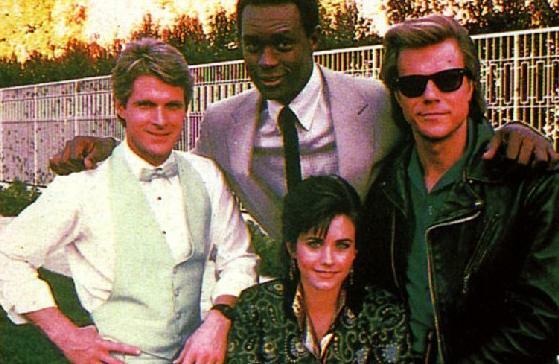 Two of the actors on the series were Friends star Courtney Cox and Kevin Peter Hall. The latter serving as the actor inside of the suit of Harry in HARRY AND THE HENDERSONS. Created by TV Sci-Fi god Kenneth Johnson, who created The Six Million Dollar Man, The Bionic Women, V, The Incredible Hulk, Alien Nation in its way was a buddy cop series that might be best explains in consideration of V. Meaning, if the Visitors of V, who had come to Earth for food, instead decided not to kill humans, but to live with them as equals--that would be the story line of Alien Nation. Most of the episodes were allegories pertaining to racism and bigotry, but instead of the aliens being called Visitors they were called Newcomers. One of the highlight episodes of the series featured the alien George becoming pregnant. 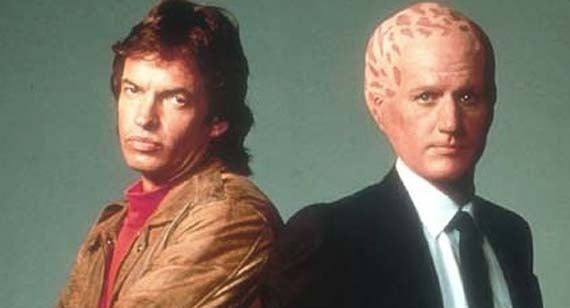 Yes, the male aliens had the babies on Alien Nation. We can debate the idea that Quantum Leap is the greatest science fiction television series of all time, but what we can't debate about it is that it wasn't the first show to deal with time travel. 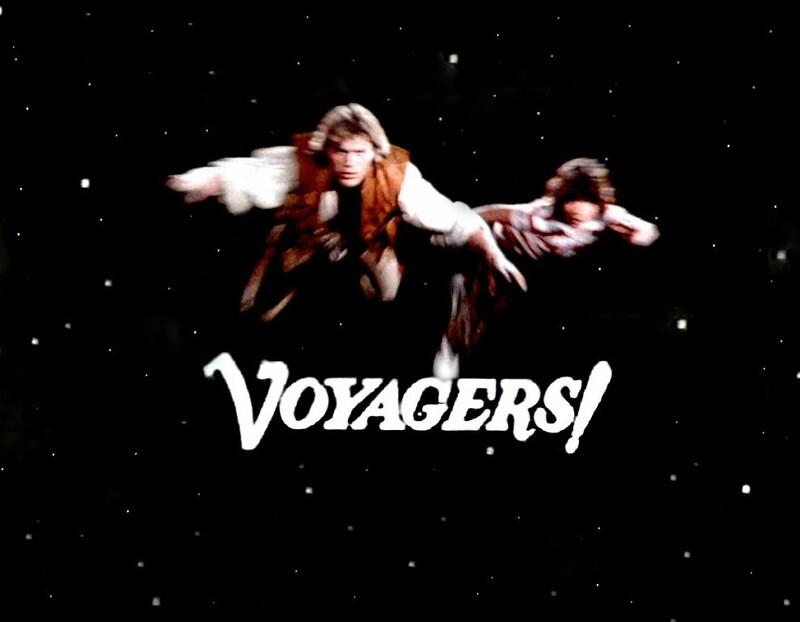 And neither was Voyagers! but it pre-dates Quantum Leap by a few years and features Phineas Bogg (Jon-Erik Hexum) and a young boy (Meeno Peluce) traveling through time to help along history--except their never quite sure we're they'll end up. The show was made for NBC and it was broadcast on the network from Oct 3rd, 1982 until July 10th, 1983. It was made with the idea that it would inspired kids to reach the subject matters of the episodes at their local libraries. Labels: 80's science-fiction tv shows you've never seen, 80's tv science-fiction, alien nation, manimal, mistfits of science, voyagers!